Anti-theft door entry security reinforced aluminum lacquered wood pine knot with anti-lock lever multi-point home near Barcelona. Called Carglass New Glass, is a single or monolithic glass, translucent type, ie, that lets clearly unable to see clearly through it. It is printed or engraved glass, giving it a roughness of both sides. It is a second uniform revamped version of the old Carglass, which has a more current look and feel, resembling the frosted glass etched from long range. This glass is 4 mm thick and comes in translucent glasses economic our catalog. It has a weight of 10 kg per square meter and in our workshop in Barcelona have plates 1500 mm x 2000 mm, to be able to cut glass. It is advisable to install this type of glass walls facing the outside since it has a high thermal transmittance close to 90 %, ie, is inefficient. This is recommended to prepare glasses camera or Guardian Sun, with this type of glass or other, to multiply up to four efficiency. 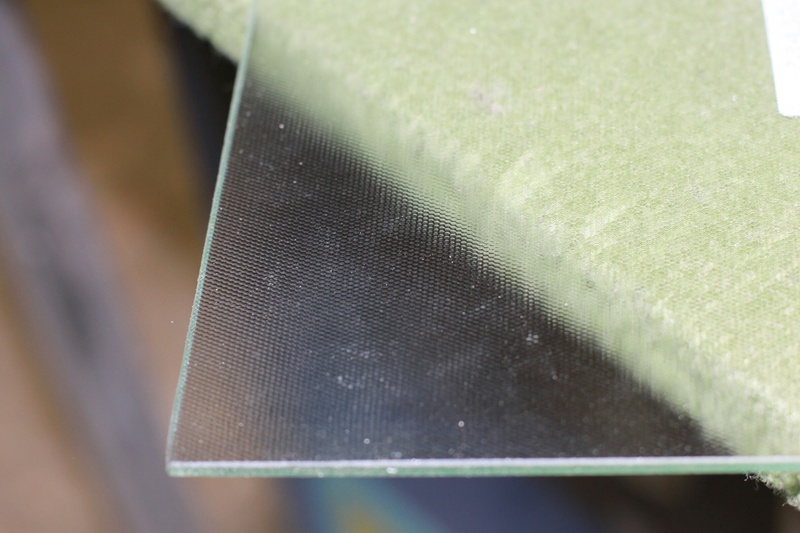 It is not recommended to shut out the noise, since its thickness of 4 mm just reduce 29 decibels, which incorporated an acoustic glass could reach 45 decibels without problems. In case of preparing a glass chamber with this glass type, will include etching inwardly thereof, so as to have two flat faces on its exterior for ease of cleaning.